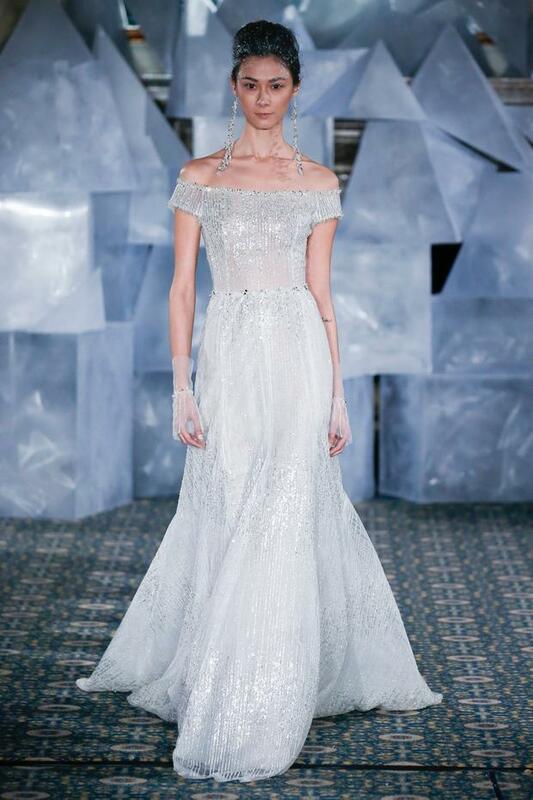 There was a softness to Mira Zwillinger's 'Ice Queen' themed collection for Spring 2019. 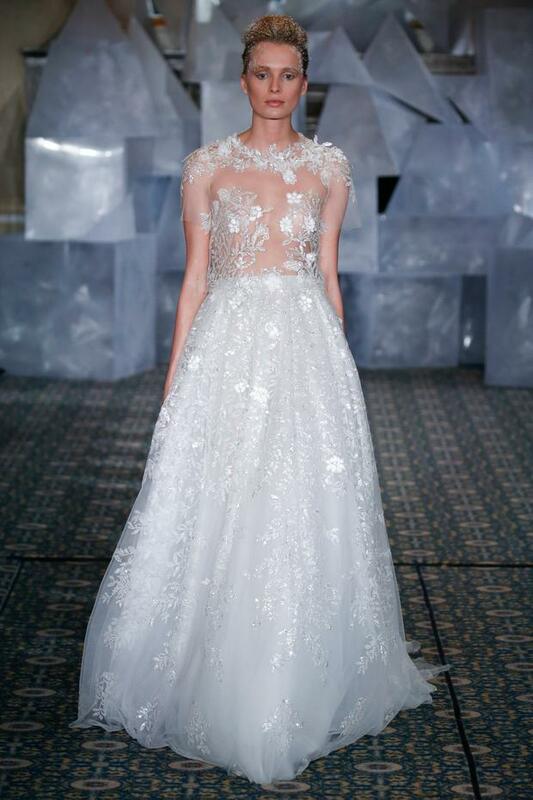 While sharp dégradé mirror embellishments, crisp Mikado fabrics, frosty, severe up styles and stripped-back beauty may have been the initial impact of the Israeli designer's New York Bridal Market offering, a closer look at soft sweetheart tulle ball gowns, beaded organza appliqué embellishments and light, pretty capelets showcased a subtle, bright and romantic feel to the collection. And strength and romance is certainly a theme we can get on board with. 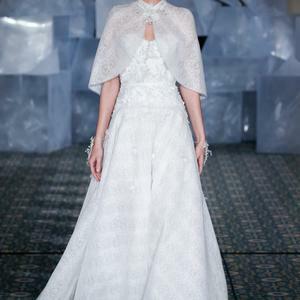 Like many of the collections showing at Bridal Fashion Week across the waters, the mother-daughter team behind Mira showcase sheer accents front and centre, literally, with barely-there bodices and crisp sheer necklines featuring throughout. 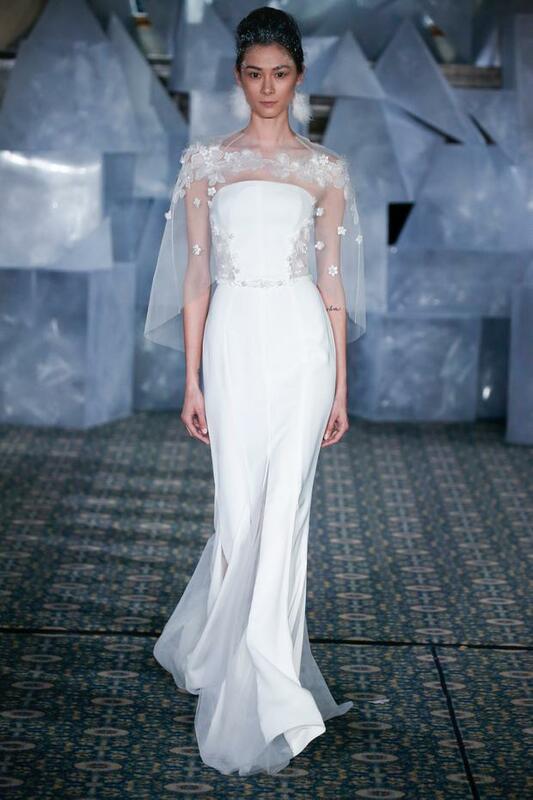 Where necklines plunge, they plunge, balanced with delicate Chantilly lace over sparkle tulle. 3D floral applique features throughout the collection, as it has in past offerings, now becoming something of a signature for this design house. We love Alice - a fully beaded and embroidered floral cocktail dress with fur trim and matching fur coat; Olya, a strapless crepe sheath gown with an elegant, modern waist inset and divine tulle gored skirt (her sister gúna Zoe is also pretty fine), and Arin - an off-the-shoulder sequin number that's just begging for the dancefloor. 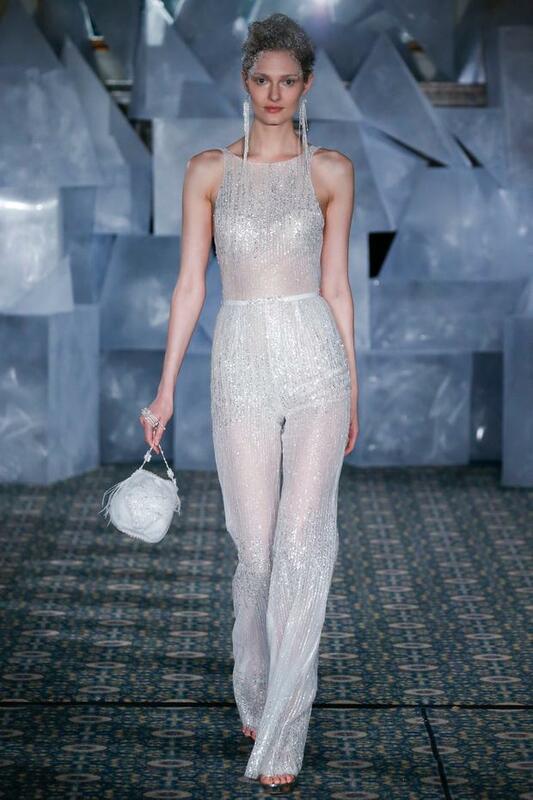 Speaking of the dancefloor - take a look at Sakie, Mira's vertical dégradé sequin jumpsuit.